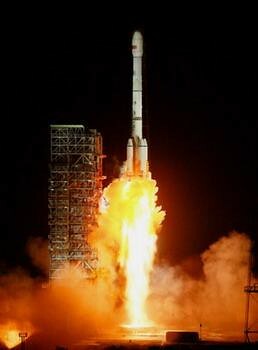 Carried by a Long March 3II rocket, the satellite was launched from the Xichang Satellite Launch Center located in southwest China’s Sichuan Province. It will of great importance to improve living standards of the people living in the country’s remote areas. This entry was posted on Thursday, October 30th, 2008 at 4:14 am	and is filed under Around the Blogs. You can follow any responses to this entry through the RSS 2.0 feed. You can leave a response, or trackback from your own site.